We highly encourage our consignors to donate their unsold items! Not only are they helping an amazing organization, but they also receive a tax deductible report from their JBF account and a letter from the charity for their donations. Just Between Friends consignors, nationwide and in Canada, achieved amazing numbers last year for charitable donations. We love that you are generous with our community partners! In 2016, Just Between Friends, franchisewide, donated items valued at $3.9 MILLION. This far exceeds our already great numbers, in years past! These donations went to hundreds of charities who serve valuable roles in our JBF communities. We are so proud of our consignors for this accomplishment. YOU continue to exemplify Just Between Friends' dedication to families and children. Way to go! We salute you! Families helping families is the heart of Just Between Friends. We are very excited to be partnering with an excellent charity organization who do so much good in our local communities for moms, children, and families! "St. Stephen’s has joined Grace Ministries in reaching out to our neighbors in need.... We distribute free clothes, toys, food, and diapers to our guests." 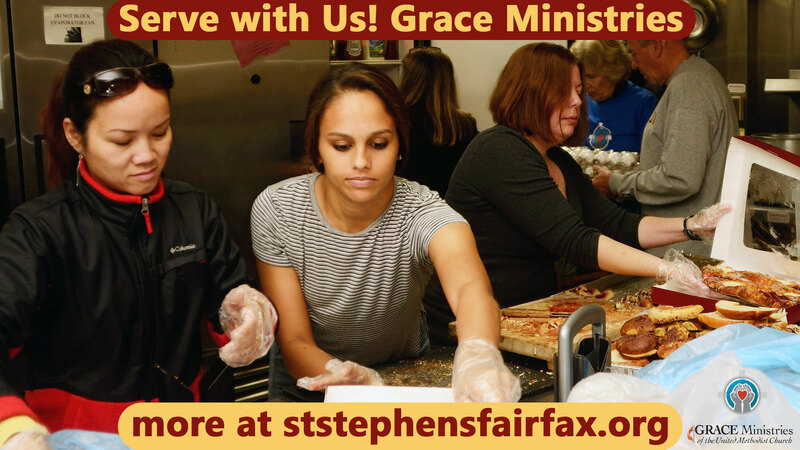 GRACE Ministries of the United Methodist Church is a community outreach program serving low income families living in Northern Virginia. "This faith-based organization was established to address the most pressing material and spiritual needs of low-income immigrants in the region and to empower immigrants to become community leaders. GRACE Ministries provides emergency food, clothing, household items, diapers and healthcare information and screenings at seven United Methodist Churches in Northern Virginia. GRACE Ministries also provides job training programs to become personal care aides and certified nurse aides. This combination of services is meant to provide assistance to ease emergency situations and also provide a more long-term employment solution that will offer career opportunities in areas of significant workforce needs."